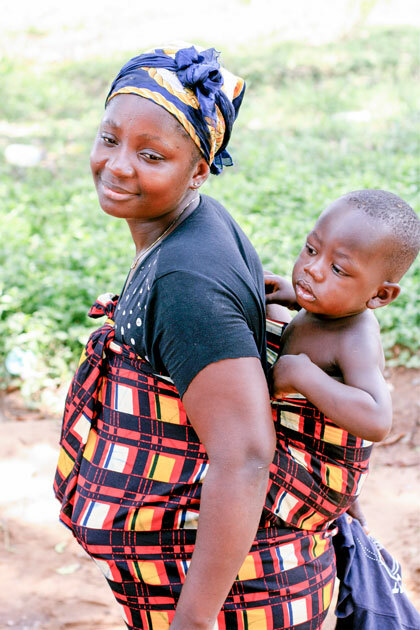 The infant mortality rate (IMR) is the number of deaths of infants under one year per 1,000 live births. This rate is often used as an indicator of the level of health in a country. The global average infant mortality rate is 49.4 according to the United Nations. Infant mortality is a very important indicator of human development – any improvement in the living conditions and poverty status of the population is immediately reflected in a decline in the level of infant mortality. 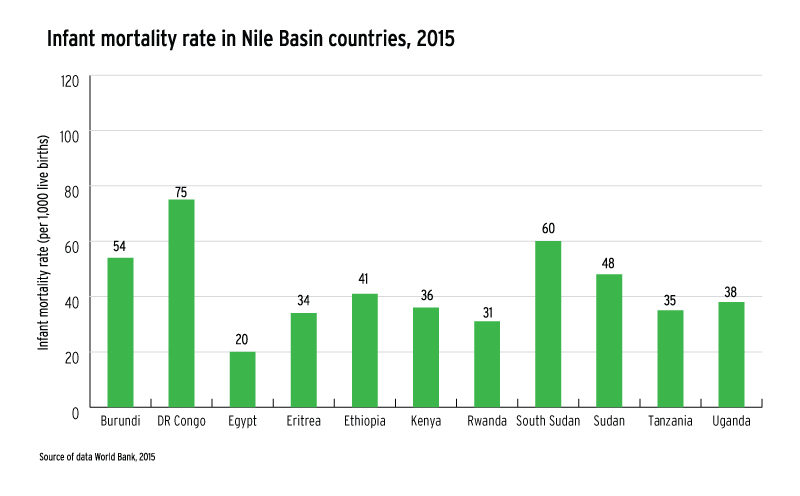 For the Nile Basin countries, DR Congo has the highest infant mortality rate (75), followed by South Sudan (60) and Burundi (54). 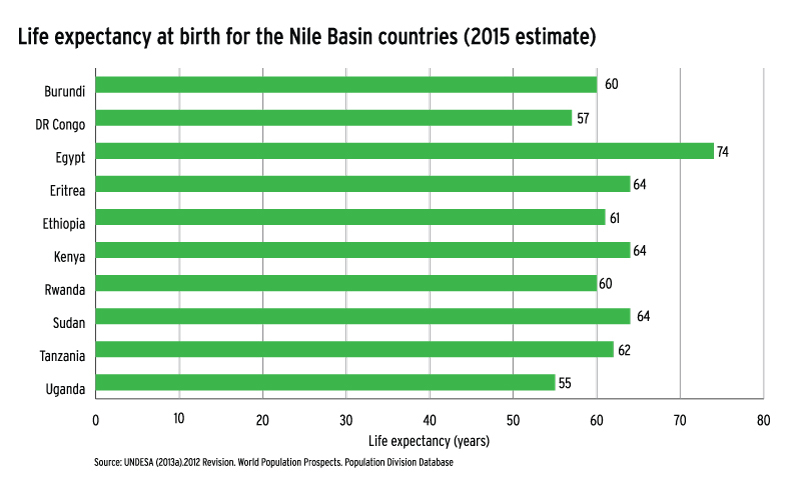 Egypt has the lowest infant mortality rate (20), followed by Rwanda (31). 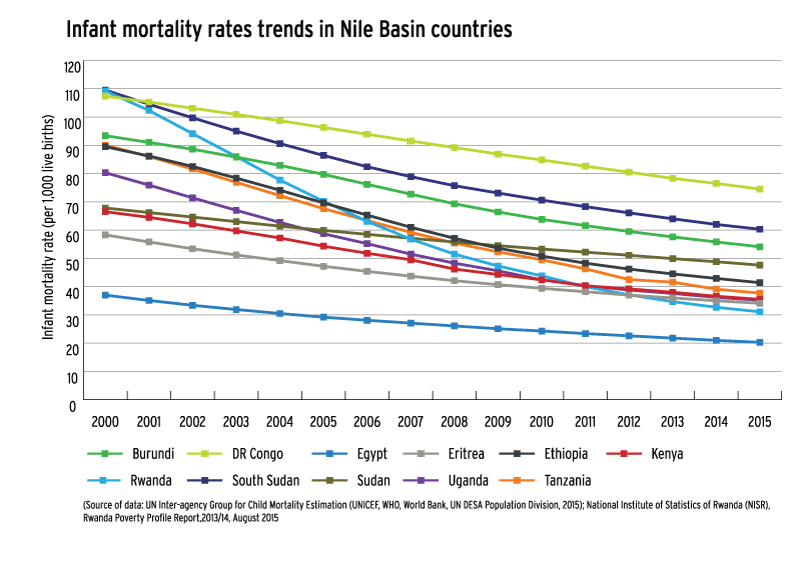 In all basin countries, infant mortality rates have decreased over the past 15 years, which indicates, among others, increase in access to health services. Decreasing infant mortality rates coupled with high fertility rate in all basin countries, however, has led to rapid population growth overall. Life expectancy at birth compares the average number of years to be lived by a group of people born in the same year, if mortality at each age remains constant in the future. Life expectancy at birth is also a measure of overall quality of life in a country and summarizes the mortality at all ages. 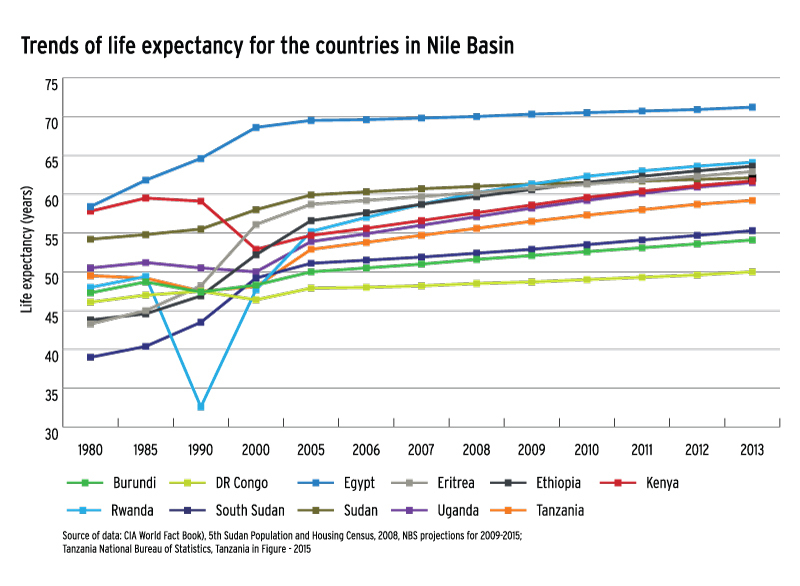 For the Nile Basin countries, Egypt has the highest life expectancy (74 years), the rest of the Nile Basin countries have a life expectancy between 55 and 64 years.